Yala National Park has one of the highest densities of wildlife per square kilometer on the island; it is often described as the finest safari destination in Sri Lanka (a country of immense biodiversity). The park is home to a vast variety of wildlife that each and every day presents new and exciting interactions. Our bespoke safaris take place in the morning and late afternoon – moving into the early evening. The reason for this is that it is when the wildlife is most active due to the temperatures being the most moderate. The game viewing is consistently good all year round and the only change in seasons is the arrival of the monsoon rains. They bring about their own unique and special sightings within the park; spectacular green landscapes, cooler temperatures and a lease of new life for grazing herds of herbivores. Drives are conducted in 4wd vehicles that have been specially adapted for safari use with comfy seats, pockets to stow your gear and bean bags to steady your camera for those all important photos. Drives can last anywhere from 2 to 4 hours depending on what’s seen and the requirements of the guests. 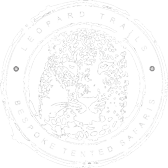 At Leopard Trails, our specialty is adapting to your needs and tailoring the Safari experience accordingly. We believe that any safari experience is greatly enhanced by high quality guiding. The Game Rangers at Leopard Trails are employed for their knowledge of Sri Lanka’s jungles and their ability to communicate with people from all over the world. These passionate and qualified individuals are fascinating company, and are the ideal ambassadors to teach you the seemingly invisible language of the bush. Apart from conducting informative game drives, the ranger also acts as a host within camp, discreetly reading the needs of our guests whilst at the same time sharing his stories, knowledge and passion of the wild. We believe that our game rangers play a massive role in enhancing the guest experience at Leopard Trails. Pila is the most senior member of our guiding team, and a jack of all trades who also keeps the camps running smoothly. Pila is a man of the outdoors and has lived in many wilderness areas for the last 40 years. He was a planter by profession for 26 years in tea, rubber, coconut and minor crops, with a passion for cooking. A chat with Pila about the food served at camp, about traditional Sri Lankan cooking, and about medicinal properties, is not to be missed! Of recent he has developed a particular interest in techniques for barbecuing meats, as well as cooking using fire in front of guests. He has a Degree in Agriculture from the Farm School of Sri Lanka and his hobbies are motor racing , sports shooting and 4X4 competition driving. After living in Canada for a few years Pila was drawn back to the wilds of Sri Lanka where he has had many roles including managing mobile camps as well as safari lodges. In his spare time Pila works on reforestation projects in the Knuckles Mountain range with the globally recognised Rain Forest Allianz. He has a sound knowledge of the flora and fauna of Sri Lanka with a particular passion for elephants. Malmi joined the Leopard Trails rangers team from Kandy, the hill capital of Sri Lanka. He joined the islands first ever rangers training program conducted by Leopard Trails and joined the team as a ranger after consistently topping his batch in academic testing on the rangers course. It was Malmi’s intellectual curiosity and a talent to absorb information that quickly saw him emerge as one of the leading candidates to be selected into the elite team of guides at Leopard Trails. To date, Malmi is the first to request extra reading material to constantly expand his knowledge about the natural world! Malmi sees the late great Steve Irwin as his inspiration and shares his passion for wildlife and conservation with his guests by giving them a well rounded experience that focuses on all the flora and fauna in our national parks. Malmi completed his high school education at Kingswood College Kandy and higher education from the Sri Lanka Institute of Information Technology. He then joined the work force in the field of information technology, but as fate would have it he then received the opportunity to become a certified tourist guide in Sri Lanka. As a tourist guide he guided tourists around the country to visit various places of cultural and religious interest, as well as places of scenic interest including national parks. It is through this grounding that Malmi followed his passion into the safari guiding industry after acquiring years of knowledge in a more all round tour guiding capacity. Born and raised in Sri Lanka, Krishan’s love and passion for wilderness and wildlife was passed on to him by his parents at a very young age. He completed his high school education at Trinity College, Kandy. Joining the workforce at an early age, he worked as a merchandiser for Brandix Lanka before moving to Singapore to complete his bachelor’s degree in Marketing Management. The next stop in his journey through life took him all the way to Australia for his post graduate studies. Upon his return to Sri Lanka, Krishan chose to pursue his long-standing interest in wildlife. He started off by regularly visiting the national parks, often camping by rivers that run through the national parks. This passion along with his strong willpower earned him a place in Sri Lanka’s first ever ranger training program conducted by Leopard Trails in tandem with training providers in South Africa. Upon successfully graduating from the ranger training program, he joined Leopard Trails as a qualified Game Ranger. Krishan is also an amateur photographer looking to develop his photography skills. When not at work, you will find him at motor racing events. His enthusiasm for motor racing earned him multiple volunteering opportunities as a flag marshal in the Formula One World Championship races in Singapore and Australia. He is also an avid four wheel drive enthusiast who takes part in many competitions as a race official, putting his marshaling knowledge to good use. Dhanula spent his childhood growing up in the coastal town of Galle. With birds and wildlife all around him he developed a passion for the wildlife that calls Sri Lanka home. He was selected to University of Peradeniya in Kandy for his higher studies. His interest in wildlife easily orientated him to select Zoology as one of his main subjects in University, and he successfully completed a Bachelor of Science, Zoology special degree in 2015. His qualifications and passions for wildlife eventually lead him to become a guide in the safari industry. As at the start of 2018, he now has experience as a safari guide for over two years in several national parks in Sri Lanka. Dhanu excelled in the internal guide training program at Leopard Trails where he was exposed to lectures, online video learning, assessment drives, training on hosting, as well as presentations, which lead him to join our team as a full time guide in 2016. Dhanu is especially keen on Leopards, Dragonflies, and Damselflies and he is also our Leopard Trails specialist on them. In addition he manages our ongoing Leopard identification project. Varun is the newest addition to the Leopard Trails guiding team, his passion for wildlife began by watching documentaries on African wildlife on a tv screen sitting in a rather busy city in India. Following his passion he left conventional studies behind and started working as a guide in India at many tiger reserves. After working for about two years, he went on to South Africa for Professional Field Guide training with EcoTraining, the oldest and largest guide training school in the world. He then worked in the north of Kruger national park in South Africa where he guided vehicle based safaris as well as walking safaris. His passion for wildlife has taken him far and wide, across many wilderness regions around the world. His most recent trip was to the north of India to track snow leopards on foot! With experience that spans several continents, it is a pleasure to chat to Varun about his encounters with wildlife across the world. An accomplished professional in the field, Hasantha started his career as a Naturalist/Field Biologist with the Young Zoologists’ Association (YZA) in 1992 and held key posts in the society including General Vice President (1998 and 2001), Instructor for the YZA’s Reptiles and Nature Photography Study Groups (1998- 2003) and a member of the editorial board for the YZA’s various publications. He has been involved in many national level research projects on Sri Lankan Biodiversity with the University of Peradeniya, Neo Synthesis Research Center (NSRC) and Nature Conservation Group (NATCOG) including most notably that of the Darwin Initiative Project on Sri Lankan Land-snail Diversity, a collaborative program between the Natural History Museum London, UK, the Department of National Museums Sri Lanka and the University of Peradeniya (1999-2002) and he was later given a short term research scholarship to the Natural History Museum, London, UK. Hasantha started working with Jetwing Hotels as a Naturalist /Environmentalist in 2003. He has implemented various award-winning Ecotourism and Sustainability initiatives in Jetwing properties and also the co-concept writer of Jetwing Eternal Earth Programme (JEEP) which Jetwing’s main sustainability initiative. After serving about 14 years, he left Jetwing Hotels when he is an assistant manager to find his own path as a freelance consultant on Hospitality and Environment Management (Resource person and trainer on environment management, tour guide training, specialty tour leader for birding and wildlife tours). Hasantha possesses considerable knowledge of Sri Lanka’s forests; their fauna and flora with a particular interest in the study of Sri Lankan orchids, reptiles, amphibians, land-snails, marine mammals and coral reefs. He is a qualified scuba diver as well. A keen videographer who has filmed several documentaries for Jetwing, Hasantha’s interests are wide and varied; from nature photography, traveling, hiking, scuba diving, reading to latest technology gadgets and computers. Hasantha currently holds an Advanced Diploma in Biodiversity and Wildlife Management from the University of Colombo and a BSc in Natural Science from the Open University of Sri Lanka and reading for his MSc in Environment Management from University of Colombo.